L. Billot, M. Lamy de la Chapelle, D. Barchiesi, S.-H. Chang, S.K. Gray, J.A. Rogers, A. Bouhelier, P.-M. Adam, J.-L. Bijeon, G.P. Wiederrecht, R. Bachelot and P. Royer, “Error signal artifact in apertureless scanning near-field optical microscopy,” Applied Physics Letters, 89(2), (2006). K.J. Lee, M.A. 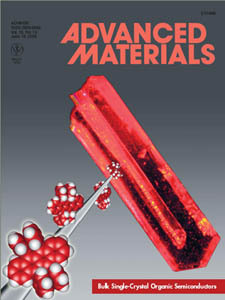 Meitl, J.-H. Ahn, J.A. Rogers, R.G. Nuzzo, V. Kumar and I. Adesida, “Bendable GaN High Electron Mobility Transistors on Plastic Substrates,” Journal of Applied Physics 100, 124507 (2006). J.-H. Ahn, H.-S. Kim, K.J. Lee, S. Jeon, S.J. Kang, Y. Sun, R.G. Nuzzo and J.A. Rogers, “Heterogeneous Three Dimensional Electronics Using Printed Semiconductor Nanomaterials,” Science 314, 1754-1757 (2006). E.-L. Gui, L.-J. Li, P. S. Lee, A. Lohani, S. G. Mhaisalkar, Q. Cao, S. J. Kang, J.A. Rogers, N.C. Tansil and Z. Gao, “Electrical Detection of Hybridization and Threading Intercalation of Deoxyribonucleic Acid Using Carbon Nanotube Network Field-Effect Transistors,” Applied Physics Letters 89, 232104 (2006). L. Gomez, R. Bachelot, A. Bouhelier, G.P. Wiederrecht, S.H. Chang, S.K. Gray, F. Hua, S. Jeon, J.A. Rogers, M.E. Castro, S. Blaize, I. Stefanon, G. Lerondel and P. Royer, “Apertureless Scanning Near-field Optical Microscopy: A Comparison Between Homodyne and Heterodyne Approaches,” Journal of the Optical Society of America B – Optical Physics 23(5), 823-833 (2006). Q. Cao, M.-G. Xia, M. Shim, and J.A. 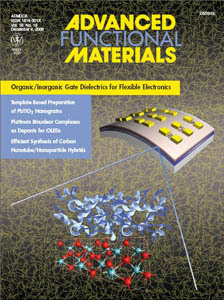 Rogers, “Bilayer Organic/Inorganic Gate Dielectrics for High Performance, Low-Voltage Single Walled Carbon Nanotube Thin-Film Transistors, Complementary Logic Gates and p-n Diodes on Plastic Substrates,” Advanced Functional Materials 16, 2355-2362 (2006). M.E. Stewart, N.H. Mack, V. Malyarchuk, J.A.N.T. Soares, T.-W. Lee, S.K. Gray, R.G. Nuzzo and J.A. Rogers, “Quantitative Multispectral Biosensing and 1D Imaging Using Quasi-3D Plasmonic Crystals,” Proceedings of the National Academy of Science USA, 103(46), 17143–17148 (2006). Y. Sun, V. Kumar, I. Adesida and J.A. 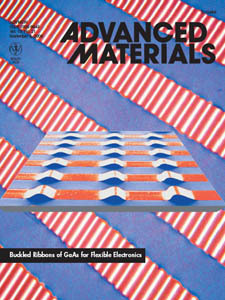 Rogers, “Buckled andWavy Ribbons of GaAs for High-Performance Electronics on Elastomeric Substrates,” Advanced Materials 18, 2857-2862 (2006). H.C. Ko, A. Baca and J.A. Rogers, “Bulk Quantities of Single-Crystal Silicon Micro/Nanoribbons Generated from Bulk Wafers,” Nano Letters 6(10), 2318-2324 (2006). Y. Sun, H.-S. Kim, E. Menard, S. Kim, I. Adesida and J.A. Rogers, “Printed Arrays of ALigned GaAs Wires for Flexible Transistors, Diodes and Circuits on Plastic Substrates,” Small 2(11), 1330-1334 (2006). E. Menard, A. Marchenko, V. Podzorov, M.E. Gershenson, D. Fichou and J.A. Rogers, “Nanoscale Surface Morphology and Rectifying Behavior of a Bulk Single-Crystal Organic Semiconductor,” Advanced Materials 18, 1552-1556 (2006). J.-H. Ahn, H.-S. Kim, K.J. Lee, Z. Zhu, E. Menard, R.G. Nuzzo and J.A. Rogers, “High Speed, Mechanically Flexible Single-Crystal Silicon Thin-Film Transistors on Plastic Substrates,” IEEE Electron Device Letters, 27(6) 460-462 (2006). F. Hua, A. Gaur, Y. Sun, M. Word, J. Niu, I. Adesida, M. Shim, A. Shim and J.A. Rogers, “Processing Dependent Behavior of Soft Imprint Lithography on the 1-10 nm Scale,” IEEE Transactions on Nanotechnology 5(3), 301-308 (2006). Y. Sun, E. Menard J.A. Rogers, H.-S. Kim, S. Kim, G. Chen, I. Adesida, R. Dettmer, R. Cortez, and A. Tewksbury “Gigahertz Operation in Mechanically Flexible Transistors on Plastic Substrates,” Applied Physics Letters 88, 183509 (2006). S. Mack, M. Meitl, A. Baca, Z.-T. Zhu and J.A. Rogers, “Mechanically flexible thin-film transistors that use ultrathin ribbons of silicon derived from bulk wafers,” Applied Physics Letters 88, 213101 (2006). J. Maria, V. Malyarchuk, J. White and J.A. Rogers, “Experimental and Computational Studies of Phase Shift Lithography With Binary Elastomeric Masks,” Journal of Vacuum Science and Technology B 24(2), 828-835 (2006). C. Kocabas, M. Shim and J.A. Rogers, “Spatially Selective Guided Growth of High-Coverage Arrays and Random Networks of Single-Walled Carbon Nanotubes and Their Integration into Electronic Devices,” Journal of the American Chemical Society 128, 4540-4541 (2006). Q. Cao, Z.T. Zhu, M.G. Lemaitre, M.G. Xia, M. Shim and J.A. Rogers, "Transparent Flexible Organic Thin-Film Transistors That Use Printed Single-Walled Carbon Nanotube Electrodes," Applied Physics Letters 88, 113511 (2006). S. Jeon, V. Malyarchuk, J.A. Rogers and G. Wiederrecht, “Fabricating Three Dimensional Nanostructures Using Two Photon Lithography in a Single Exposure Step,” Optics Express 14(6), 2300-2308 (2006). D.Y. Khang, H. Jiang, Y. Huang and J.A. Rogers, “A Stretchable Form of Single Crystal Silicon for High Performance Electronics on Rubber Substrates,” Science 311, 208-212 (2006). M.A. Meitl, Z.-T. Zhu, V. Kumar, K.J. Lee, X. Feng, Y.Y. Huang, I. Adesida, R.G. Nuzzo and J.A. 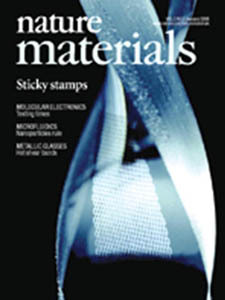 Rogers, “Transfer Printing by Kinetic Control of Adhesion to an Elastomeric Stamp,” Nature Materials 5, 33-38 (2006). Q. Cao, S.-H. Hur, Z.-T. Zhu, Y.G. Sun, C.-J. Wang, M.A. Meitl, M. Shim, J.A. Rogers, “Highly Bendable, Transparent Thin-Film Transistors That Use Carbon-Nanotube-Based Conductors and Semiconductors with Elastomeric Dielectrics,” Advanced Materials 18, 304-309 (2006). J.-U. Park, M.A. Meitl, S.-H. Hur, M.L. Usrey, M.S. Strano, P.J.A. Kenis, and J.A. Rogers, “In-situ Deposition and Patterning of Single-Walled Carbon Nanotubes By Laminar Flow and Controlled Flocculation in Microfluidic Channels,”Angewandte Chemie Int. Ed. 45(4), 581-585 (2006).